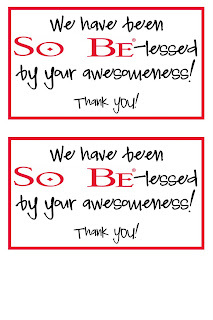 Here is a fun and quick way to say Thank You! I have been in physical therapy for the past 3 months recovering from my right ankle being broken and my left being sprained. I just graduated last Monday. Hooray! All the staff at the office was amazing I wanted them to know they were truly appreciated. They made the process really a lot of fun. 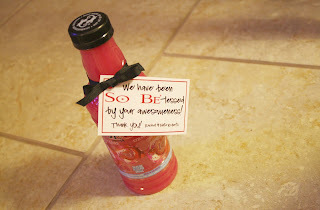 I went to the store and bought SOBE's for everyone, and attached a little card to say Thanks. I printed them on photo paper at Walmart because I was running out of ink on my printer. Here is the 4x6 photo I printed. I took our names off so you can use it if you would like. 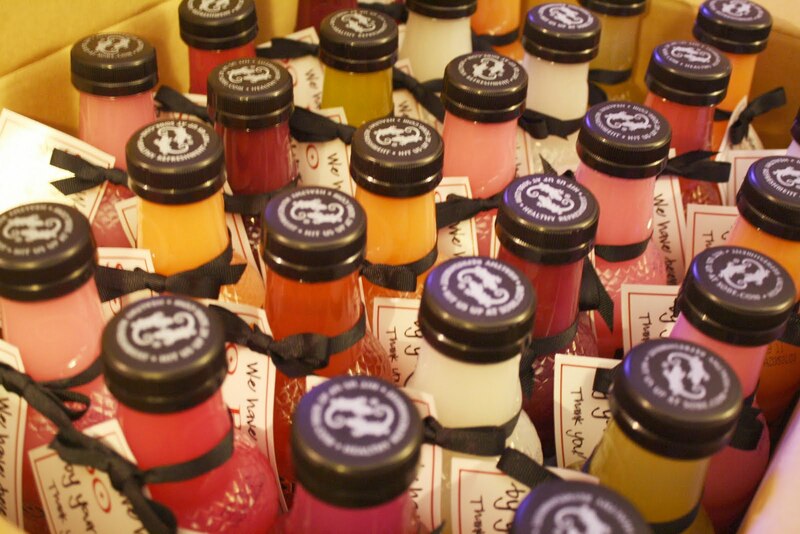 Here are all the finished bottles. 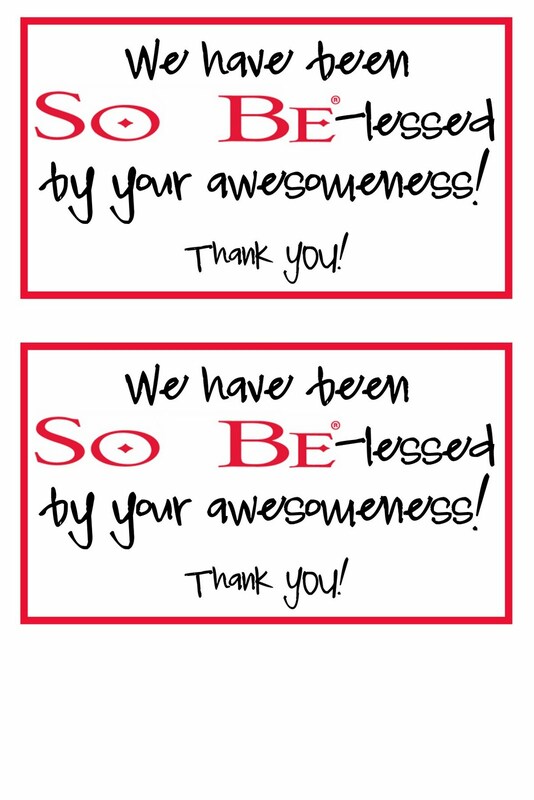 Also a big Thanks in order for my sister who helped me attach all the cards. They were a really big hit at the office everyone loved them. These are so CUTE!!! Andrew is really hoping there is one left when he goes in today! 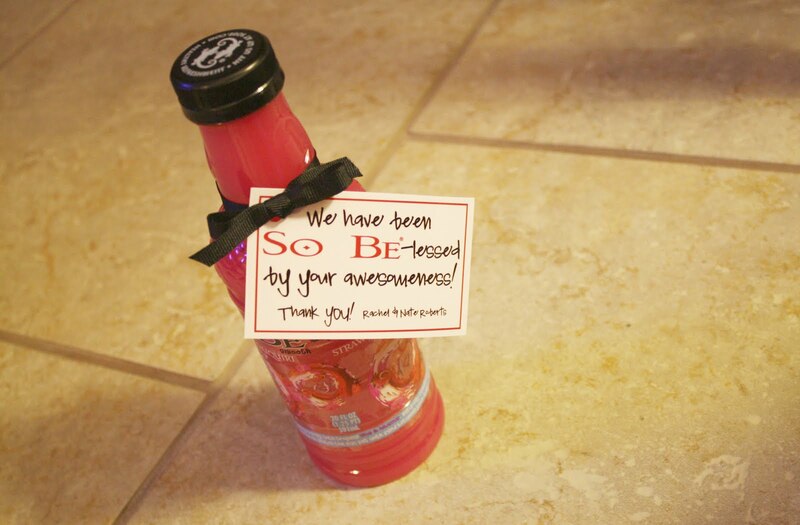 You are so crafty and thoughtful! Thanks for sharing! Thanks for sharing this! I want to try it!